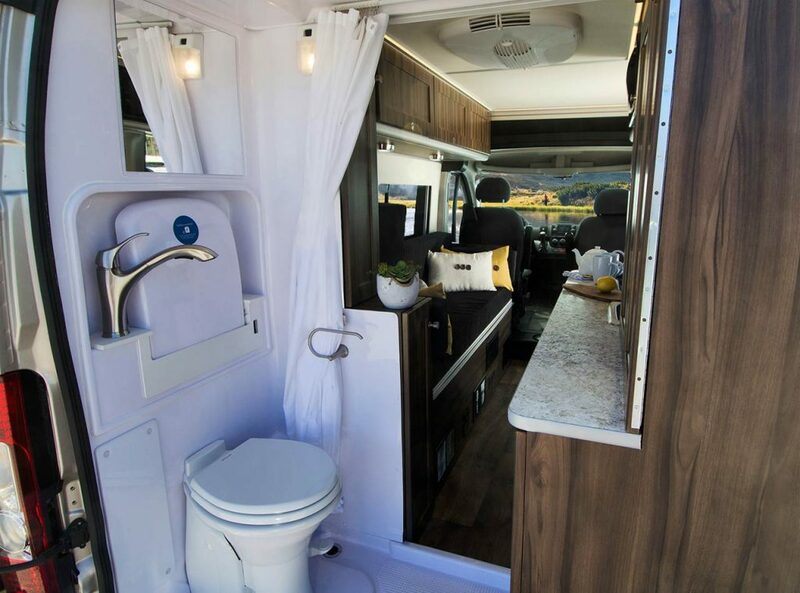 Europe-Style Axion Compact Camper With Bathroom Hits The U.S. 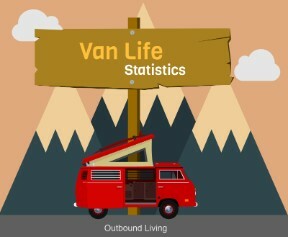 In the last decade or so, campervanning has become a rapidly growing sensation in both Europe and the U.S.- the difference? 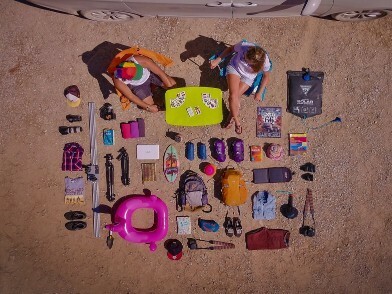 The EU market is saturated with small, compact B-Class camper vans, whereas the U.S. leaves a lot to be desired. Sure you’ve got Skoolies and the Ford Econoline, but the American market is crying out for the same range of choice that the Europeans have. 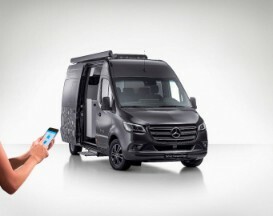 The RAM Promaster is America’s answer to the Fiat Ducato, a compact medium wheelbase van that is nevertheless large enough to squeeze an ample-sized tiny home into, and this is the van that German-owned company Carado has based their new Axion campervan on. 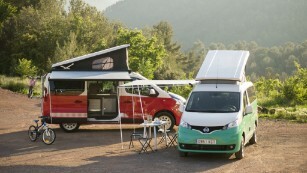 Back in 2016 German company, Erwin-Hymer Group got its foot in the door of the U.S. market with its purchase of Canadian camper van company Carado, and in 2017 the Axion was launched. 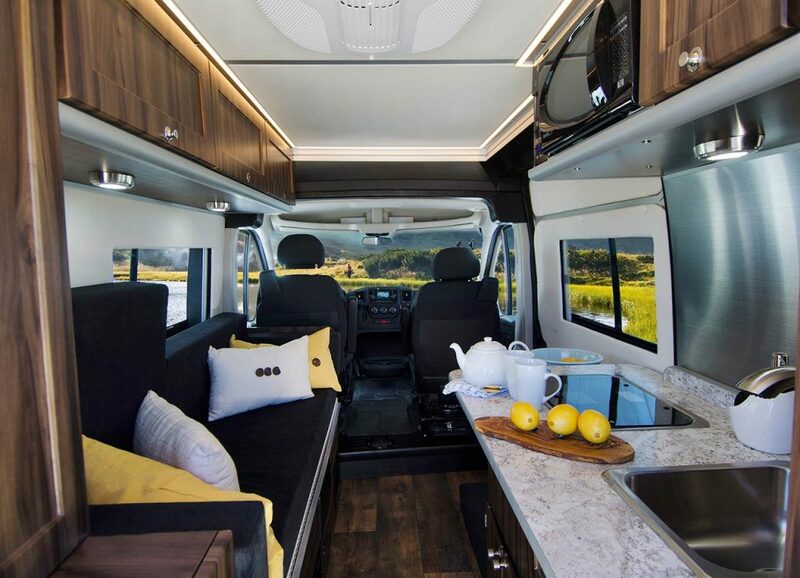 Their mission was to expand from Europe into the U.S. by bringing over brands like Hymer and Carado, however recently the group was acquired by Thor Industries to create the world’s largest RV manufacturer. The RAM Promaster creates a space that sleeps two people perfectly. The Axion, designed to sleep two, uses the RAM Promaster 1500 as a base van. Inside this front wheel drive van, you’ll find a 3.6L Pentastar V6 24 valve VVT engine delivering 280bhp with a 6 speed Automatic transmission. 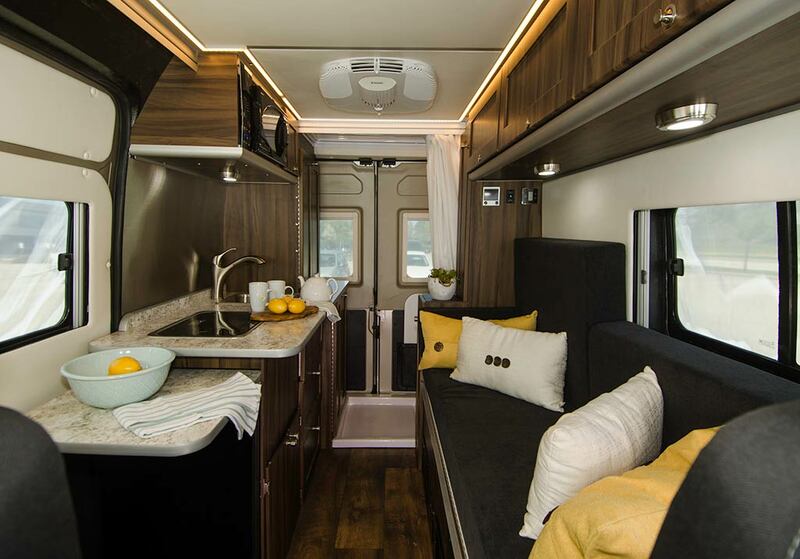 Its 136” wheelbase and 17’9” length creates plenty of space for a couple to work, sleep and shower inside. 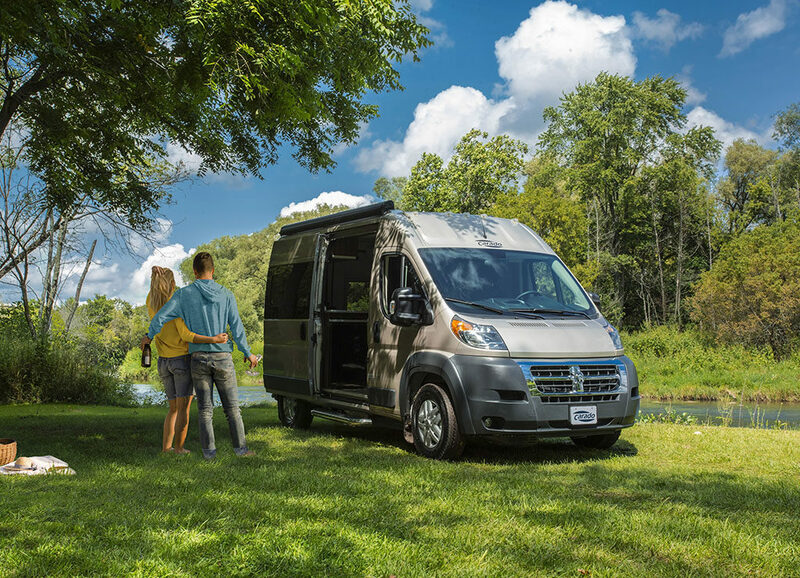 The Promaster has all the modern features and entertainment systems you could want: ParkView rear camera, day/night rearview mirror, remote keyless entry, tire pressure monitoring and AC just to name a few. In the entertainment department, there’s a UConnect 5” touchscreen display and media hub connected to a 4 speaker sound system with Voice Command and Bluetooth to keep you entertained on long drives. 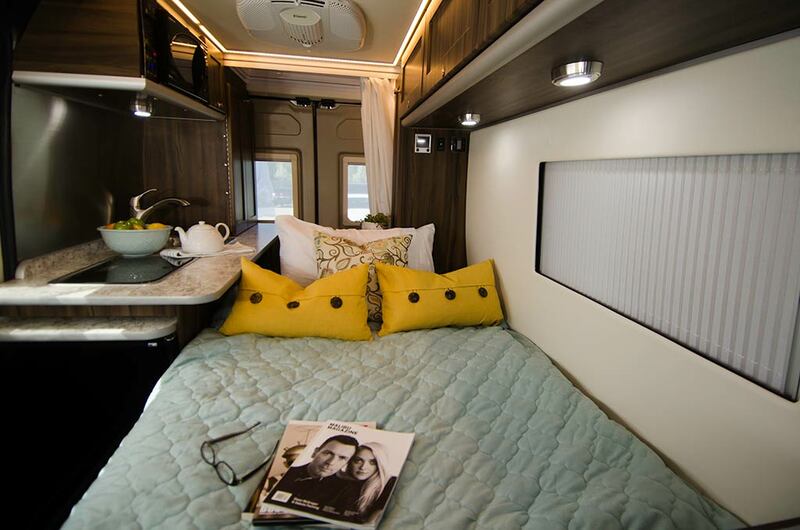 The Axion’s layout with a central living area and rear bathroom is quite unique. Enter the van through either the side or the rear door and you’ll find a warm, homely and surprisingly spacious interior. A long sofa dominates the living area which can be transformed into a cozy double bed at night. Pop up the table and grab a seat on either the sofa or the front swivel seats and you’ve got a flexible working and dining space. The other side of the van is occupied by a large kitchen area complete with sink, two burner propane stove, 700W microwave and an 88L fridge. An expandable countertop slides out to create even more prep space, which is decorated with a faux granite top and a stainless steel splash guard. As well as the kitchen cabinets you’ll find plenty of storage in the form of a full-length wardrobe with a deep drawer accessible from the rear of the van. Overhead storage lit by LED lighting occupies most of the living area roof, finished with a dark wood effect which lends a homely appearance, while the white walls and ceiling keep things feeling airy. Large panel windows let in plenty of light to the living area, with shades for when you want privacy. The large sofa and moveable table create an ideal working and eating space. Rather unusually, the bathroom is found in the rear section of the van, much like the Karmann Danny 530 we saw back in October. This not only frees up room in the main living area but also creates the illusion of extra space without a solid wall diving the two rooms. Inside there’s a toilet, a stand up or sit down shower, a foldaway sink with tap and a vanity mirror; a waterproof curtain offers privacy to the user. The shower is fed by a 67L fresh water tank and the water collects in an 83L grey water tank. The rear bathroom is separated by a privacy curtain. On the roof of the van, there’s a 200W solar panel which charges up the EcoTrek 105Ah Lithium battery indoors. 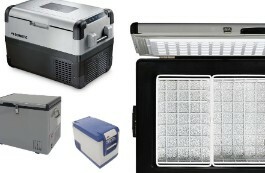 The van is heated by an automatic propane Alde heating and hot water system fed from a 22L propane tank; alternatively, it can be cooled by an 11,000BTU air conditioner built into the ceiling. There’s even an external propane hook up for plugging in a portable BBQ, and an awning for enjoying romantic evenings outdoors. The sofa expands into a double bed in the center of the van. 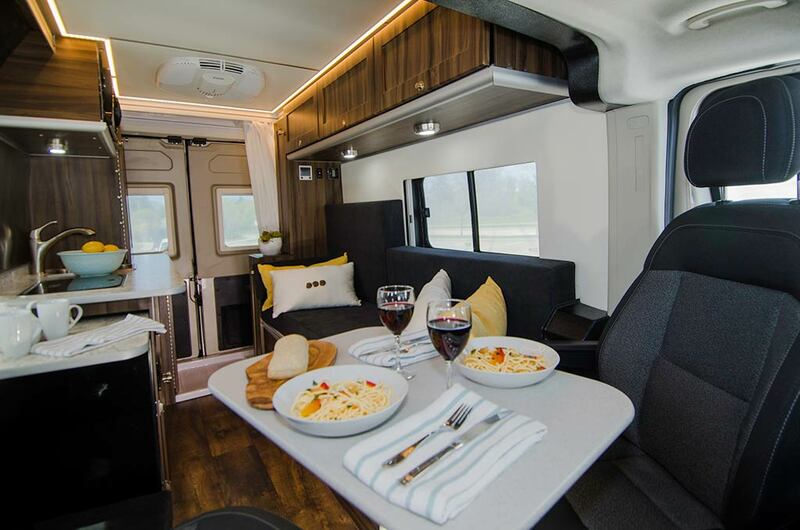 The Axion comes in at a rather hefty $71,833 without any options, which is quite a bit more than its European counterparts such as the Rebel Sprinter or the Adria Supreme, although admittedly the latter does not have a bathroom. However, it’s sure to be a welcome addition to the relatively small American market for compact, two-sleeper vans.